Marius Masalar talks with composer Lorne Balfe about two of his latest projects: Assassin's Creed: Revelations and Skylander: Spyros. Balfe as reveals how he got into video game music, the challenges of writing music for popular sequels and what he considers his dream project. 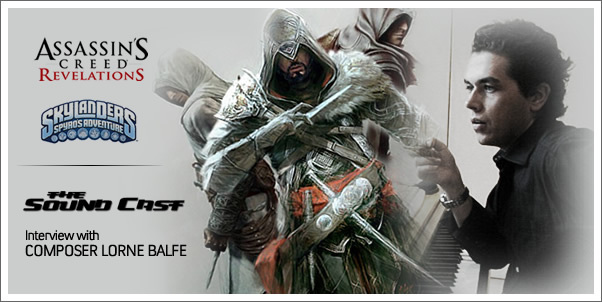 CORRECTION: Lorne Balfe composed the exhibition trailer for Assassin's Creed Brotherhood, which was the third game of the series, not the second as he inadvertently stated. 17:22 — Assassins Creed: Revelations - How did you work with composer Jesper Kyd?